Did you know that the City Chambers, formerly the Royal Exchange, on the Royal Mile is built over an underground network of narrow streets where real people lived, worked and died between the 17th and 19th centuries? The Old Town of Edinburgh is built on a volcanic rock just down from the castle. The main road is the Royal Mile, where a series of lanes and alleyways, called closes, extend out from each side. In order to develop the Old Town within the confines of the city’s defensive barricades, the authorities came up with a solution at the beginning of the 17th century to build tenement housing both upwards to the sky and down through the undergrounds, carving deep streets into the city. Who could ever have imagined that real underground life would start bustling beneath the city? Later, during the 19th century, with the increasing development of the city through the New Town and with new buildings such as the Royal Exchange, the closes were progressively buried and closed. Nonetheless, some of these alleys have survived almost unchanged through the last 250 years. 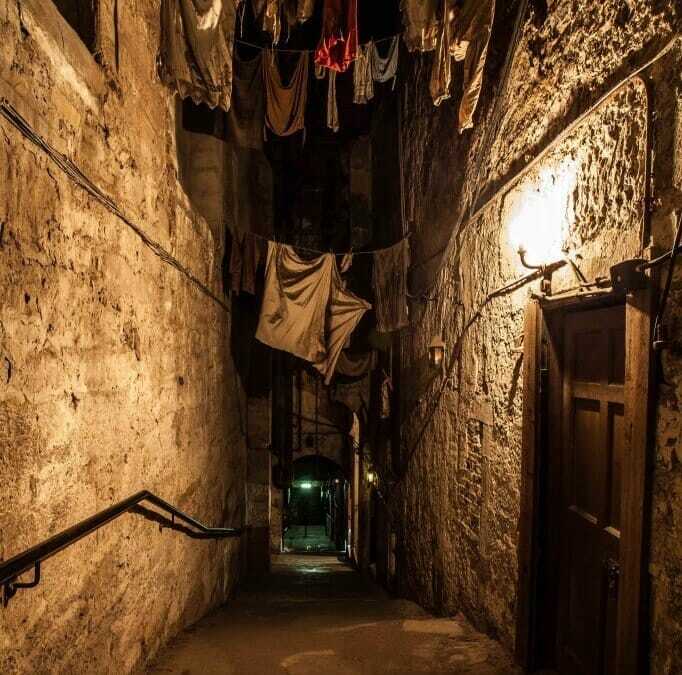 One of them has recently opened to the public: Mary King’s Close. It was the busiest and most vibrant of the closes at that time. Named after the most prominent businesswoman in the fabrics and sewn materials trade in the 1630’s, the close and its neighbours became a famous place which founded the city’s association with myths of plague victims, quarantines and mysterious tales of ghosts and murders. Discover the true stories of the close with The Real Mary King’s Close attraction which gives tours of the ruins of several remaining underground closes: Mary King’s, Pearson’s, Stewart’s and Allen’s. You can find the entrance through Warriston’s Close and Writer’s Court near the City Chambers. It is a fascinating insight into everyday life of 17th century Edinburgh! And if you are fond of ghost stories, don’t miss the paranormal investigation held at Mary King’s close on 26th September 2015.